One of the qualities of God is that He is all knowing. This means that all the knowledge in the Universe that has existed, does exist or will exist is known to Him. As seekers make efforts in spiritual practice, they gain access to more and more of this knowledge progressively. 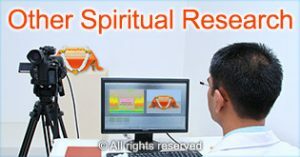 The unique Knowledge on the SSRF website about the spiritual dimension has been received from God in this way. Several SSRF seekers are receiving Spiritual Knowledge on a variety of topics related to Spirituality. 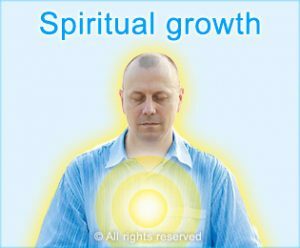 This Spiritual Knowledge is useful in spreading awareness of the spiritual dimension and about the importance of spiritual practice to seekers. Spiritual Knowledge can come from both positive and negative sources in the spiritual dimension. This is why it is important that those receiving such Knowledge do so under the guidance of a spiritually evolved guide. This ensures that the Knowledge received is accurate and that it does not spread spiritual distress to the one receiving it and to others. In this section, we share about some experiences of seekers who receive Spiritual Knowledge and we also share some samples of such Knowledge. Yoya Vallee has drawn many of the subtle drawings presented on the SSRF website. She had a propensity and talent for drawing from a young age and now this skill is used as a part of her service to God. Mrs. Janhavi Ramesh Shinde has received Divine Knowledge on different topics and she has found that the quality of curiosity has helped her to be blessed with this divine gift. Ms. Shilpa Deshmukh initially began receiving Divine Knowledge about the spiritual aspects of dance and she continued receiving Divine Knowledge on other topics. 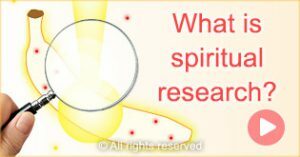 Spiritual research conducted using sixth sense is how SSRF seekers receive Divine Knowledge. 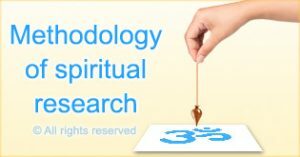 The methodology of spiritual research is different from ordinary research methodology mainly because answers are obtained directly from the Universal Mind and Intellect through spiritual research. Read about some of our Divine Knowledge pertaining to different spiritual topics. 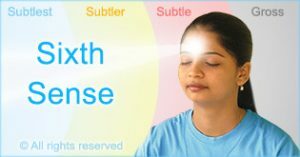 Sixth sense is the medium used to obtain Divine Knowledge, and one’s sixth sense ability increases naturally as one makes spiritual progress.